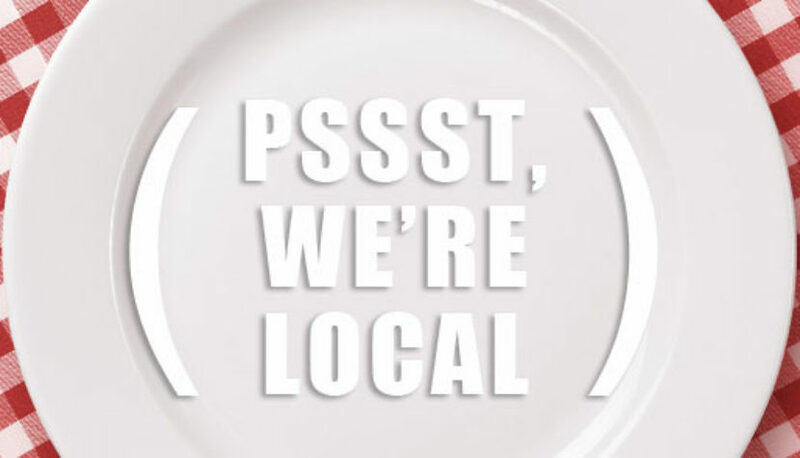 Will “Local” Still Be Trending When Food Manufacturing Catches On? Are small food manufacturing companies nimble enough to capitalize on (or even drive) local sourcing trends? I’m calling it here and now. In 30 years, food manufacturing will be as “local” as you can get. Forget farmer’s markets. Forget your own backyard garden. Every home will have a 5D meal-printer on their kitchen counter that uses carbon, scent, flavor and protein molecule packets. These “ingredient cartridges” will be delivered via the 4th generation living fiber network by whatever platform overtakes Amazon.com. Regional food manufacturers should leverage their locale to their advantage as food retailers look to meet consumer demand. Coming back to 2017, “locally sourced” food continues to dominate trends. Consumers are looking for it and food retailers are mining it to find ways to differentiate in a flat–yet competitive–retail landscape. 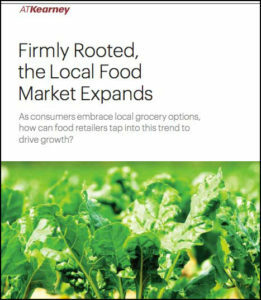 The AT Kearney report, Firmly Rooted, the Local Food Market Expands, shows that while the “local” trend is most visible in the parameter of the store—in produce and fresh meat sections—demand is expanding to center of store. Shoppers are placing importance on locally sourced dry and prepared foods as well. Canned and jarred goods saw a 5% increase in 2015, bread saw 9% and prepared foods saw a jump at 23% in the same time period. Seems like a no-brainer, but are food manufacturers leveraging locale to their advantage when they are presenting product lines to their food retailer customers? Are they sharing their local story with consumers? During our regular store checks, we see brands we know are local. Yet, looking at their product sitting on the shelf between their national competitors, there is no way the average customer would know it. They want so badly to be like the national brands. However, in this one area, they fail to realize there’s payoff in being different. Why wouldn’t a small, regional food manufacturing company use every advantage they have to compete against Goliath? Their local story is the stone in David’s slingshot. We assume they’re just too busy keeping up with sales and production to react to trends—even trends that seem custom-made for them. Maybe they don’t have time to adjust their marketing message. Or maybe they don’t know how to tell their local story. Even small adjustments to messaging can make a huge impact. First, for example, a callout or added graphic to a food brand’s packaging may be enough to suggest their local story. Secondly, simple additions to their social media plan can help their local story play out online. Something as easy as occasionally mentioning the local charities and nonprofits your company supports can build affinity with consumers. This is especially important to cause-conscious Millennials. This demographic wants to align themselves with small local companies who live up to the values they hold dear.